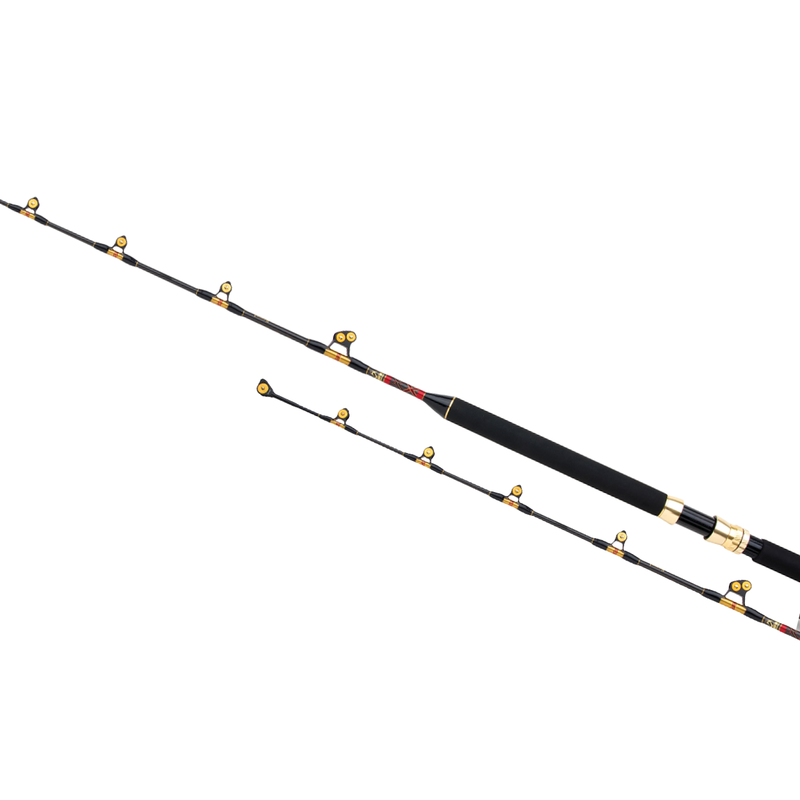 The new Tiagra XTR-C Stand Up range sets a new standard in big game fishing. The high quality blank is built with HPC 250 carbon, Biofibre as well as Shimano Twist-Control design. High end Pacific Bay roller guides, aluminium reel seat and ergonomic EVA grips complete an impressive collection of component features, but it is the fighting action that will really impress. Available in four models from 20lb to 80lb, combine any model with a Shimano multiplier reel and experience the fight of you life. Inhouse designed & developed strong stainless steel roller guides. Specifically designed to allow clear passage of big swivels or connection knots.